and tells about a local organization that provides classes. 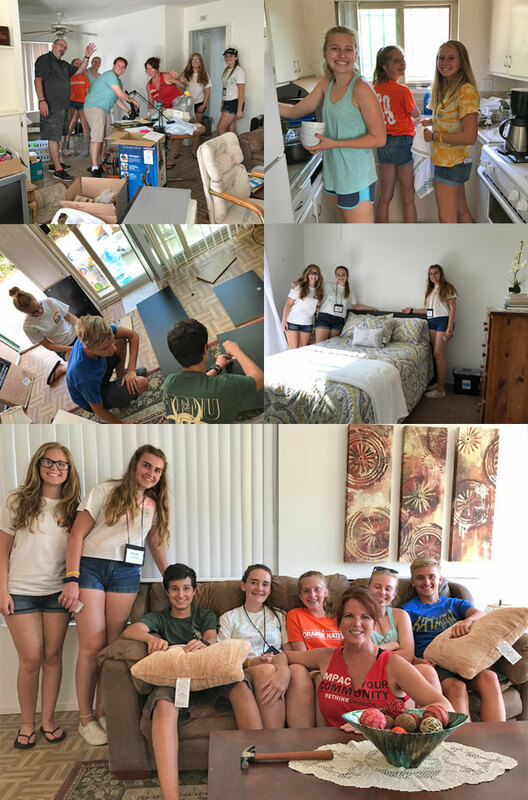 The youth group and leaders put together a beautiful home at El Nido for a family of 4 that fled domestic violence and found themselves homeless. Foothills furnishes an apartment at the El Nido transitional living center, which will guide the family on the path to self-sufficiency over the course of a year. Throughout the summer, Foothills will merge the usual two morning services into one hour of praise. Cool things are planned every week, including presentations from ministry leaders on things our church is doing in the community. If you are fit and able, please park in the lower parking lot during these join service Sundays. Like bridge? Then join in the 8 month long bridge marathon that meets on the 4th Tuesday of each month in the Youth Center, beginning in September and running until May. There is a $35 buy-in, most of which goes towards Foothills missions and the rest goes towards the prizes and party at the end of the marathon. Contact Margie Howard to sign up, or be on the substitute's list. The Moms Connect small group is still meeting regularly during the summer and welcoming mothers of children who are infants, all the way to teens, to meet up with them for learning, encouragement and support. They meet the first and third Wednesdays of every month, usually in King Hall, but sometimes off campus. Follow the group on Facebook for updates and details. Kathy Cueva is a long-time Foothills member and also a Reiki master. She is holding an appointment-only clinic at Foothills on 8/13 in King Hall, beginning at 1 pm. Experience this ancient, light-touch, energy-healing technique, that can be used to treat just about anything. Contact Kathy for more information.